Please look at the examples below and review your own grip or that of your crew. Anthony Edwards, 5 times Olympic athlete demonstrates common issues. 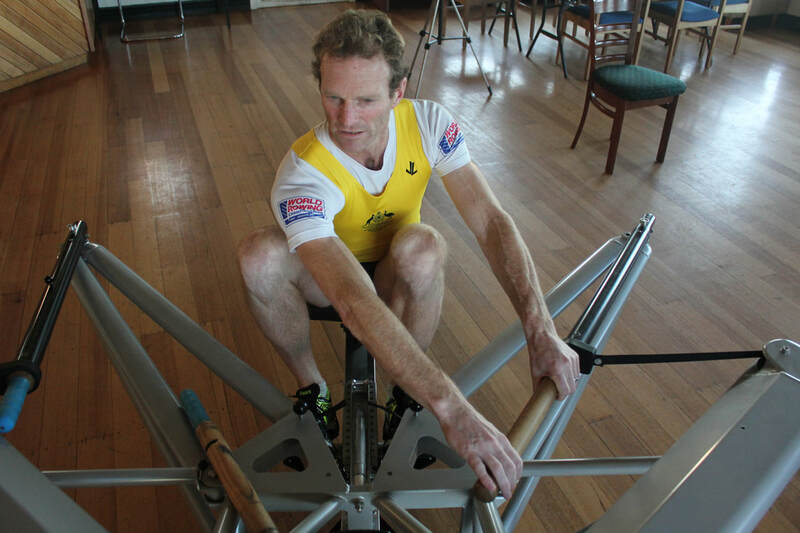 ​Here we have examples of common grip issues with the sculling oar during the drive phase. Grip is one of the most important aspects of rowing in that an incorrect grip creates technique issues and a tight grip forces stress into the body and the boat. Correct grip will lead to a faster boat with better run due to relaxation. Here Eddy demonstrates the correct grip, make sure that you keep the fingers relaxed with the thumb lightly on the end. The relaxed grip enables the athlete to have relaxed shoulders, it is almost impossible to have a relaxed shoulder if you have a tight grip on the oar. Having the thumb on the end of the oar ensures that the hand is in the correct position and can assist in feathering. ​​Gripping the oar in this manner can lead to the hand being in the incorrect position on the oar. If the hand moves only a small amount towards the gate then the workload is increased significantly and the effective inboard decreases and therefore the gearing increases. ​Additionally having the thumb under the handle makes feathering more difficult and tends to lead to athletes feathering with their wrist rather than fingers. It is very difficult to apply full power with the wrist in this position, additionally the only way to maintain this wrist position during the drive is to grip the oar tightly. Hence overall less power can be applied and due to the grip the upper body will be tense. Very difficult to be relaxed with this grip. There is also an increased likelihood of the oar going deep in the water as the oar can easily twist in the gate. A tense grip will translate to the oarsman not flowing fluidly with the boat, less boat run and poorer technique. This issue is less problematic than the two above in that the wrist is relatively flat, however the wrist is slightly bent downward which indicates that the grip is too tight resulting in the problems described above. Additionally the thumb is directly on the end of the oar and therefore not able to be used to assist feathering. You can see from the colouration of the thumb that it is pushing hard on the end of the oar. Clearly a tense grip and therefore the upper body will be tense.